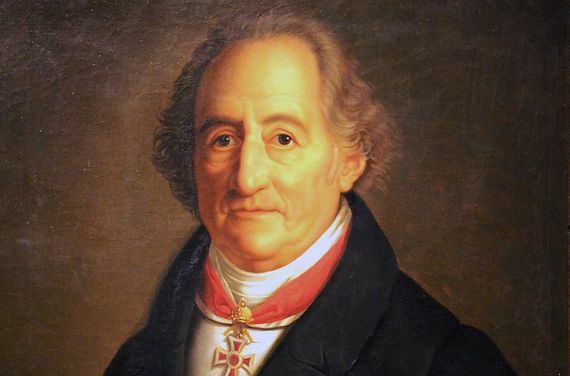 Start The Other Side of Goethe: Scientific or Pseudoscientific? If you touch your tongue on the front part of your palate, just behind the incisors, you’ll detect a bone under the skin. 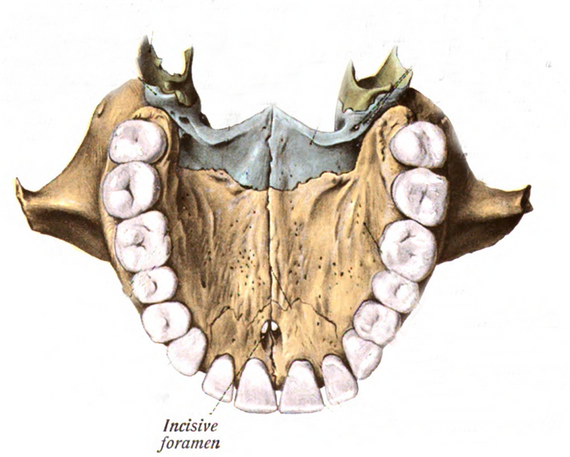 Its name is the incisive bone or the premaxillary bone, formed in reality by two pieces fused to each other and to the cranial structure. Perhaps its presence may seem obvious, but it’s not so easy to demonstrate that it exists in all mammals. The person who did so was Johann Wolfgang von Goethe, considered the greatest writer in the German language and whose lesser-known face is that of a passionate scientist. However, Goethe was a peculiar scientist; nowadays his supporters defend him zealously, but from a modern perspective his science remains controversial. Goethe (28 August 1749 – 22 March 1832) lived at a time in which scientists, then still known as natural philosophers, often used to divide their efforts between different scientific fields, even without regulated training in such matters. The writer met these two conditions: he studied humanities and law, but his scientific works covered areas as diverse as optics, geology, botany and comparative anatomy. The balance of his scientific career may seem irregular. Holder of the largest private collection of minerals of his time in Europe—with almost 18,000 specimens—he defended neptunism, the superseded theory of geology that proposed crystallization in the ocean as being the origin of rocks. 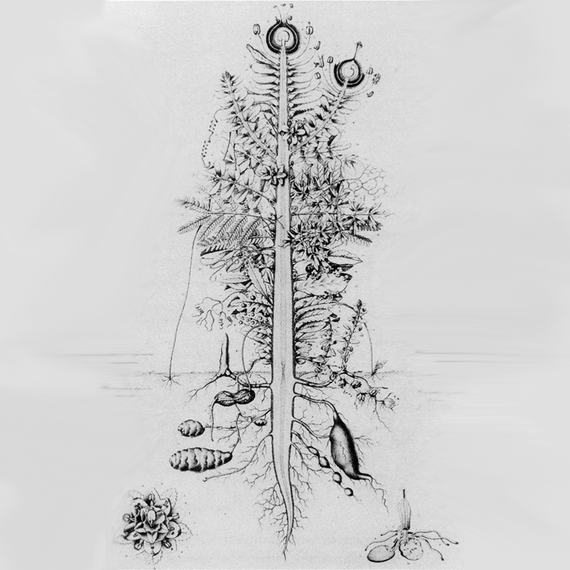 He proposed that all the structures of the plant arise from a metamorphosis of leaves and that, somewhere, the Urplanfze or primordial plant could be found, which would be a leaf in its entirety. In optics he denied the Newtonian theory of the decomposition of white light, suggesting instead that colours appeared by the mixture of light and darkness. Of his colour theory, Goethe said he was more proud than his poetic work. But above all, the most remarkable and at the same time most debatable aspect of Goethe’s science is his vision of science itself. At the beginning of the 19th century, the Enlightenment was in full bloom. It was born in France following the revolution of 1789 and crystallized into Cartesian science, the empirical and analytical science as we understand it today. But like all trends, it gave rise to a countercurrent that arose in one of France’s historical rivals, its neighbour Germany. There romanticism flourished, wrapped in spirituality and esotericism, while the philosopher Immanuel Kant proclaimed that our perception of reality is not reality, but a construction. It was in that context that Goethe’s science was born. As explained to OpenMind by David Seamon, professor of architecture at Kansas State University (USA), co-editor of Goethe’s Way of Science: A Phenomenology of Nature (SUNY Press, 1998) and author of the recent Life Takes Place: Phenomenology, Lifeworlds, and Place Making (Routledge, 2018), “Goethe’s major contribution is recognizing and actualizing a new way of seeing things, what would today be best called a phenomenological perspective.” What this means, Seamon continues, is that Goethe approached the universe with the intention of “seeing the phenomenon whole, rather than in parts as is the reductive way of conventional analytic science.” His research was not quantitative, but qualitative, and with it he hoped to understand nature globally, experiencing it as a kind of living organism of whose changing dynamics the observer was a part. But dispensing with experimental validation and mathematical analysis—which Goethe did not know—how to test his hypotheses? About Goethe’s colour theory, the philosopher Ludwig Wittgenstein wrote: “It is really not a theory at all. Nothing can be predicted by means of it.” However, according to the experts, it cannot be said to be wrong either. 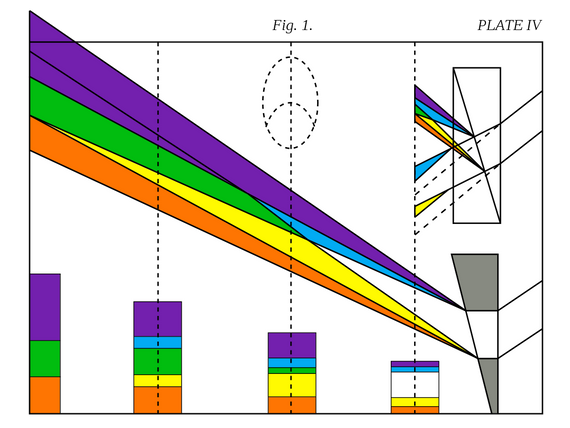 According to Sepper, it was simply misnamed: “He thought he was working in the field of optics, whereas he came to see within a few years that his proper subject matter was colour.” For science historian James Gleick, Goethe’s mistake was to believe that his theory would replace that of Newton, “but he was right to see that Newton’s framework did not explain or account for a range of phenomena involving the perception of colour,” he points out to OpenMind. In fact, his ideas about the opposition of colours and his views on the physiological perception of colour remain valid, and the artistic discipline of aesthetics has explored Goethe’s contribution. In general, Goethean science has been the subject of research for philosophers, who have debated, for example, whether the author proposed Urplanfze as a real plant or as a basic construction plan, a kind of global architectural interpretation of plant nature beyond physics. It seems unquestionable that Goethe’s scientific legacy has left little trace in modern science, which has yielded cumulative advances through hypothesis, experimentation and analysis. For Seamon, Goethean science has not penetrated “because researchers in conventional science approach phenomena via a reductive vision requiring measurement.” “Conventional scientists typically dislike qualitative research,” he adds. Of course, Goethe’s approach, applied two centuries later as a science without the standard scientific method, would fit today’s current definition of pseudoscience. Among his followers are characters such as biologist and paranormal investigator Rupert Sheldrake, who defends telepathy, precognition and the existence of a collective memory in nature. One of the first champions and continuators of Goethean science, the Austrian Rudolf Steiner, founded anthroposophy, an esoteric philosophy with scientific pretensions that served to create biodynamic agriculture, an agricultural practice of mystical inspiration that many current scientists call pseudoscientific. Why Does the Rainbow have 7 Colors?